Singer/songwriter Lauriana Mae has collaborated with Planet VI for her upcoming debut album with Warner Music Group / Atlantic Records. The songwriting and production duo – consisting of siblings Theron and Timothy Thomas – have previously worked with the likes of Jennifer Hudson [RCA Records], Leona Lewis [Syco Music] and Justin Bieber [Island Records]. Some of their recent credits include “Kisses Down Low” by Kelly Rowland [Republic Records], “Pour it Up” by Rihanna [Island Def Jam Recordings] and “We Can’t Stop” by Miley Cyrus [RCA Records]. The still-untitled LP by Lauriana Mae will yield further alliances from Kwame Holland (Fantasia, Christina Aguilera), Jack Splash (Alicia Keys, John Legend) and Polow Da Don (Jamie Foxx, Mario Barrett). She recently appeared on Cee-Lo Green’s hit single “Only You,” taken from the artist’s upcoming studio collection, which serves as the follow-up to 2010’s “The Lady Killer” [Warner Music Group / Roadrunner / Elektra Records]. Fans of Planet VI’s work should keep an eye on the next projects by Usher [LaFace Records], Beyonce [Columbia Records], Keri Hilson [Interscope Records], RaVaughn [Compound University] and TLC [Epic Records]. Singer/songwriter Lauriana Mae has recently worked with Polow Da Don for her upcoming debut album, out soon via Warner Music Group / Atlantic Records. The super producer – born Jamal Jones – is known helming singles “London Bridge” by Fergie [Interscope Records], “Blindfold Me” by Kelis [Jive Records] and “Love in this Club” by Usher [RCA Records]. He also confirmed placements on the next projects by Mario [RCA Records], Keri Hilson [Interscope Records], Beyoncé Knowles [Columbia Records], Nikki Williams [Island Def Jam Recordings] and Chris Brown [RCA Records]. Other producers backing Mae on the still-untitled collection are Kwame Holland (Fantasia, Christina Aguilera), Jack Splash (Pixie Lott, Mayer Hawthorne), Toby Gad (Colbie Caillat, John Legend) and Pharrell Williams (Ciara, Mikky Ekko). She recently teamed up with Cee-Lo Green on his latest single “Only You.” Watch the Skylar Grey-penned / Matthew Prime-produced track below. The track is lifted for the singer/songwriter’s mini-album “Love Mae,” out now via Warner Music Group / Atlantic Records. Mae wrote the track was frequent collaborator Kwame Holland, whose credits include “Understand” by Christina Aguilera [Sony Music Entertainment / RCA Records], “10 Million” by Marlon Roudette [Warner Bros. Records] and “Ain’t No Other” by Keyshia Cole [Universal Music Group / Geffen Records]. 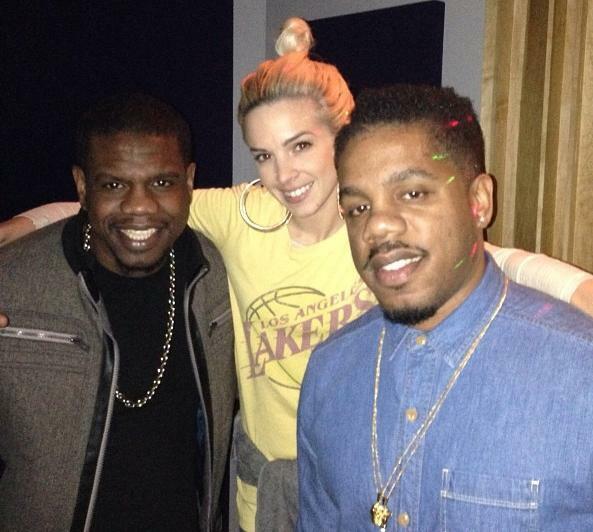 She also collaborated with labelmate Cee Lo Green on his latest single “Only You.” The Skylar Grey-assisted track was produced by Matthew Prime, who is also responsible for singles “Counting Down the Days” by Natalie Imbruglia [Sony Music Entertainment / Brightside Recordings] and “Skinny Genes” by Eliza Doolittle [EMI / Parlophone Records]. In addition Kwame Holland, Lauriana Mae’s upcoming debut album is expected to boast further productions from Matthew “Jack Splash” Kahane (Alicia Keys, Jamie Foxx), Toby Gad (Robin Thicke, Beyonce Knowles), Pharrell Williams (Azealia Banks, Leah LaBelle), Fraser T. Smith (Rebecca Ferguson, Celine Dion) and Rodney “Darkchild” Jerkins (Brandy Norwood, Michael Jackson). Cee Lo Green has premiered the music video for his new single online. “Only You” – which features Lauriana Mae – is taken from the singer/songwriter’s upcoming as-yet-untitled studio album, which serves as the follow-up to 2010’s “Lady Killer” [Warner Music Group / Roadrunner Records / Elektra Records]. The track was co-written by Holly Brook Hafermann – better known as Skylar Grey – whose credits include “Love the Way You Lie” by Eminem featuring Rihanna [Universal Music Group / Interscope Records] and “Castle Walls” by T.I. featuring Christina Aguilera [Warner Music Group / Atlantic Records]. Lauriana Mae has added Canadian singer/songwriter Chantal Kreviazuk to the list of songwriters for her upcoming as-yet-untitled debut album, out soon via Warner Music Group / Atlantic Records. Recent credits by the Chantal Kreviazuk include “Not At All” by Stefanie Heinzmann [Universal Music Group / Island Records], “Daydream” by Miranda Cosgrove [Sony Music Entertainment / Columbia Records] and “Over My Body” by Drake [Universal Music Group / Republic Records]. In addition to Kreviazuk, other songwriters backing Mae on the new collection are Diane Warren (Tulisa Contostavlos, Jennifer Hudson), Andrea Martin (Jordin Sparks, Cheryl Cole), Makeba Riddick (Christina Milian, Jessica Simpson), Julie Frost (Madonna, Beyonce Knowles), Stacy Barthe (Alicia Keys, John Legend) and Claude Kelly (Brandy Norwood, Toni Braxton). Cee-Lo has debuted his new single online. “Only You” – featuring label mate Lauriana Mae – marks the first promotional single from his upcoming as-yet-untitled fifth album, which is due later this year via Warner Music Group / Elektra Records. The track was co-written by Holly “Skylar Grey” Hafermann, whose credits include “Clarity” by Zedd featuring Foxes [Universal Music Group / Interscope Records], “Castle Walls” by T.I. featuring Christina Aguilera [Warner Music Group / Atlantic Records] and “Love the Way You Lie” by Eminem featuring Rihanna [Universal Music Group / Interscope Records]. 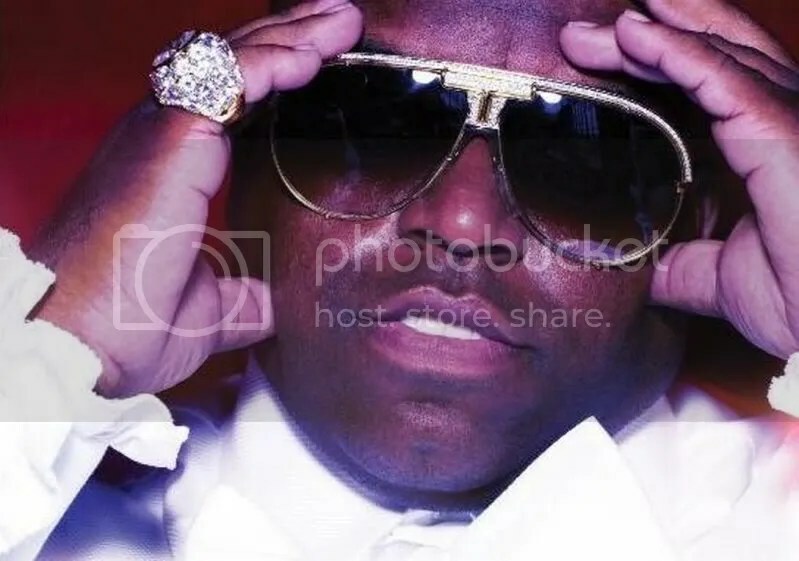 Meanwhile, the new collection by Cee Lo Green serves as the follow-up to 2012’s “Cee Lo’s Magic Moment.” That release debuted at number twenty five on the US Billboard 200 Albums Chart. American singer/songwriter Lauriana Mae has snagged the production services of Jack Splash for her upcoming debut album, which will be released in 2013 via Warner Music Group / Atlantic Records. The super producer – real name Matthew Kahane – has previously crafted tracks such as “I Choose You” by Keyshia Cole [Universal Music Group / Geffen Records], “Bones” by Melanie Fiona [Universal Music Group / Republic Records] and “Saviour” by Alicia Keys [Sony Music Entertainment / J Records]. He also teamed up with hit musicians Angela Hunte, Cathy Dennis, Sia Furler, Thomas “Cee-Lo” Callaway, Missy “Misdemeanor” Elliot, John “Legend” Stephens, Olivia “Livvi Franc” Waithe, Harold Lilly, Paloma Faith, Lukasz “Dr. Luke” Gottwald, Sean “Elijah Blake” Fenton, Lundon Knighten and Andre Merritt. Meanwhile, the as-yet-untitled project by Lauriana Mae is confirmed to boast further productions from Kwame Holland (Fantasia Barrino, Christina Aguilera), Rodney “Darkchild” Jerkins (Melanie Amaro, Justin Bieber), Fraser T. Smith (Craig David, Rita Ora), Toby Gad (Carly Rae Jepsen, Natasha Bedingfield), Joshua “Ammo” Coleman (Katy Perry, Adam Lambert), Alexander “Fuego” Palmer (Chris Brown, Willow Smith) and Rock Mafia: Antonia Armato & Tim James (Demi Lovato, Selena Gomez & The Scene). Songwriters include Diane Warren (Mariah Carey, Toni Braxton), Andrea Martin (Blu Cantrell, Leona Lewis), Claude Kelly (Brandy, Alexandra Burke), Makeba Riddick (Jennifer Lopez, Cassie Ventura), Julie Frost (Madonna, Beyonce Knowles) and Katrina “Katt Rockell” Russ (Hal Linton, Marlon Roudette).